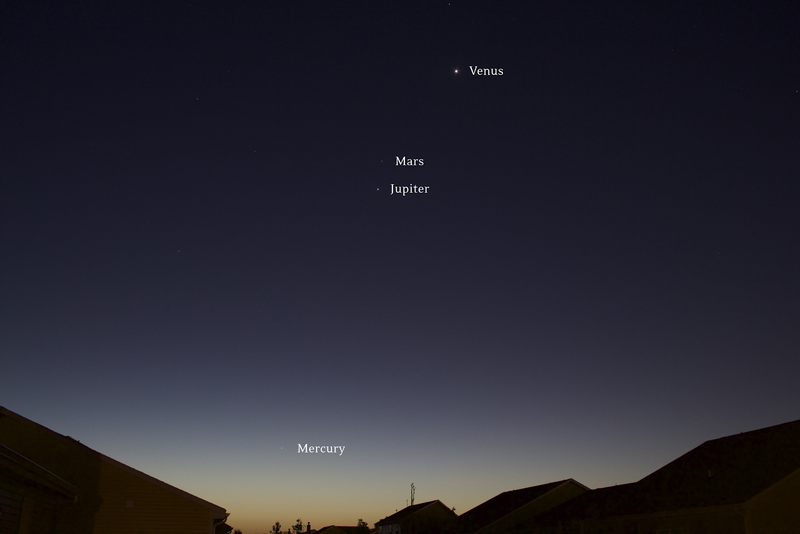 Look to the East just before sunrise to see a veritable traffic jam of planets rising above the horizon. I snapped this photo of 4 planets all in one shot yesterday at 7:09am in Indiana. Quite the collection! I believe 4 planets in one shot is my record (5 if you count the houses that are here on planet Earth). Keep an eye on this group over the next few weeks. 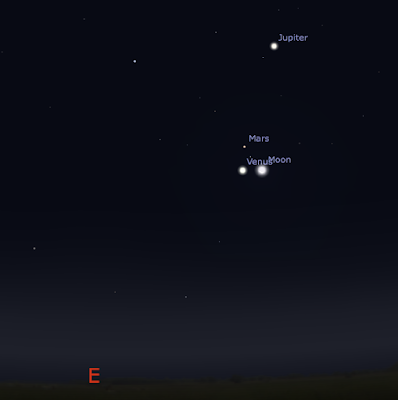 Jupiter, Venus, and Mars will get closer together and will be joined again by the moon on November 6 - November 7, 2015. 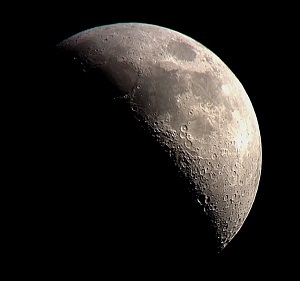 The moon will join the party again on the mornings of November 6th and 7th but by then Mercury will tuck back down below the horizon. See ya later Mercury!